Yesterday, twice within a few short minutes, I heard, “Brace yourself.” I was in the middle of something at that time, so when I heard this phrase a second time, I really stopped what I was doing to inquire. No one says, “brace yourself” unless something BIG is coming. So, I asked the Lord rather nervously, “Um, what is getting ready to happen?” I knew it wasn’t bad but I knew it was nothing small either. 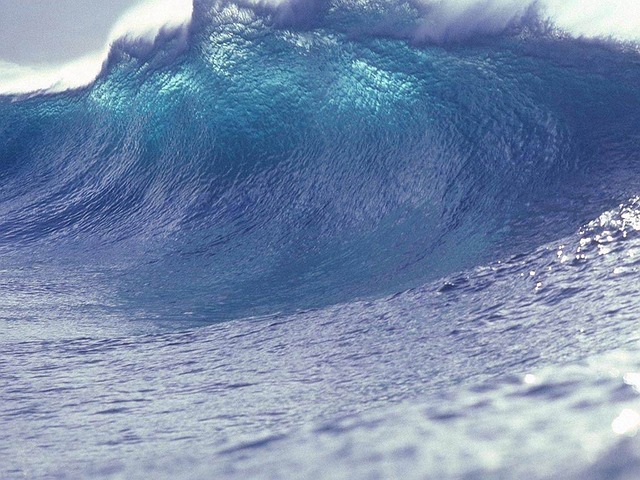 In a vision, I saw a HUGE wave coming toward me; in fact, I knew it was a tsunami! Only a few minutes before, I saw a post by someone on Facebook about “Possible Tsunami Information”. On July 12th, a 6.7 struck off the coast of Papua New Guinea. When the earth moves in that way, it can set off something else, like a tsunami. Just recently in a word, the Lord told me that as He sets us into our places, we will watch as “a chain of events unfold”. It is the same idea behind an earthquake that leads to a tsunami that then hits the land; one shift leads to another which leads to another. But now this word and vision about a tsunami, only emphasizes the final magnitude of these individual shifts or chain of events in our lives. Furthermore, I have always linked a “tsunami movement of God”, either individually or corporately, to something that we cannot control, that will totally sweep us away, and that will forever change the landscape of our lives. The last time I had this type of vision of a tsunami, it was directly after God had radically touched my life during a worship service. He encountered me in such a way that His power and love not only touched me but radically altered me. As many warnings as I got before it happened, I could never have expected an experience like that! And yes, it changed and continues to change the landscape of my life, and in an amazing way. So, I asked the Lord about what kind of “tsunami” was coming this time. He said simply, “You don’t understand that when I plan a surprise, I plan it well.” For me, “surprises” always link toward our promises or our “egg-spec-tations“. This didn’t immediately tell me much, but as I pondered it I was reminded of some things I learned about the story of Joseph. I remember watching a teaching several months ago by Rabbi David Fohrman. He is an instructor at Aleph Beta Academy. I always glean so much that I can apply to my walk with the Lord by hearing Biblical interpretation from a Jewish perspective. There are just jewels hiding under the surface in Hebrew! Looking at the Hebrew text of the story of Joseph, Rabbi Fohrman pointed out that Joseph’s ability to interpret Pharoah’s dreams likely happened because God had embedded a lot of clues and details into the dream that came from Joseph’s life. You could say that God planned for this day in stunning detail before Joseph was even born! Pharoah’s dream about the seven “well-favored and beautiful” cows and the seven “ill-favored and weak” cows, echoes Joseph’s life and his father, Jacob’s life; Rachel was “well-favored and beautiful” while Leah was “ill-favored and weak” (or her eyes were “weak”). Jacob served seven years for both of them. As Pharaoh’s dream of the cows unfolds, Joseph can see that the “fruits” of the “well-favored and beautiful years” are swallowed up by the “fruits” of the “ill-favored and weak years”; he can see his own story reflected as his brothers “swallowed” him up and put him into the pit. It is as if he never existed! But through Pharaoh’s dream, Joseph can glean the purpose of the seven good years as well as his own purpose. He can see that the seven good years need not be forgotten but can, in fact, sustain Egypt during the seven bad years. So, as I applied this to what the Lord is saying about how He plans His surprises well, it made me realize that when God calls us to step into our “divine appointments”, we may never expect all of the detail God built into our lives and even the lives of our ancestors. To be born “for such a time as this”, means that God works all things together for good because our personal life stories can act as a blueprint. As forerunners, nothing is ever wasted in our lives because our stories as overcomers can act as a roadmap and guide for others in critical times. I believe that as a bridge over troubled waters, this is how the people of God will be able to create a way when there is seemingly no way. And I believe like Joseph we can expect to be astounded by what God does in and through us!